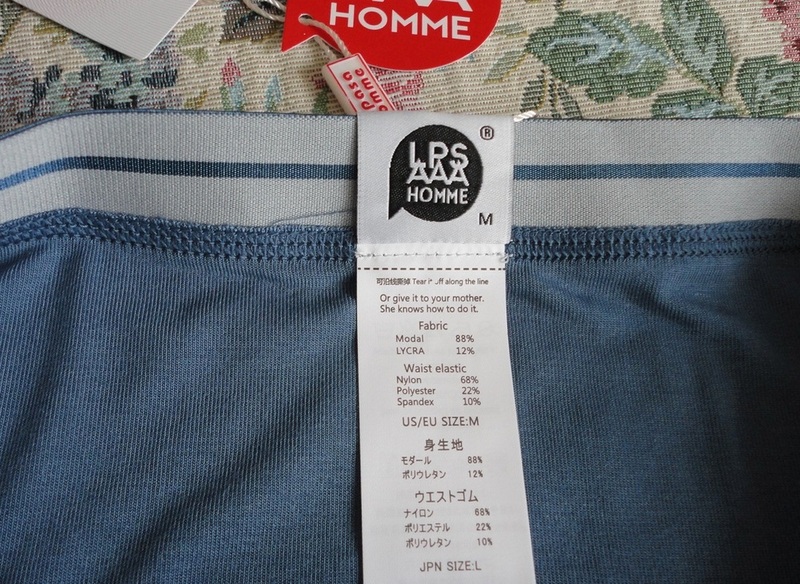 With the exception of vests made of MicroModal (by this same brand), my husband only wears cotton underwear. However, we had never come across this quality of combed cotton, called ELS. The description of the manufacturing process (which you can find under Product Description on this Amazon page) makes for fascinating reading. 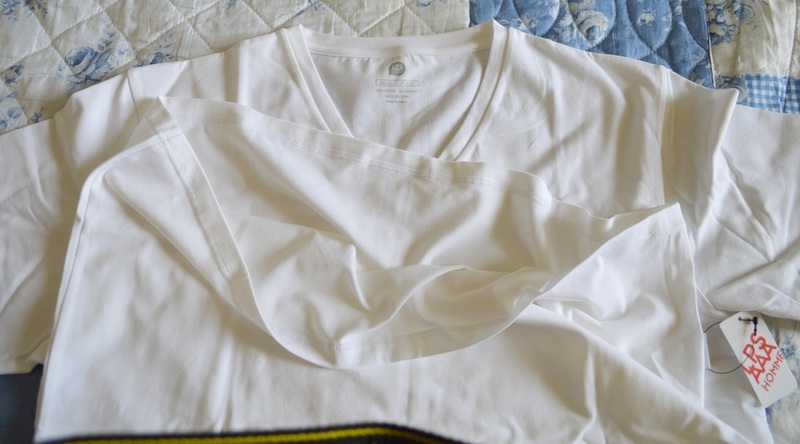 It explains why these T-shirts are so incredibly soft and silky. 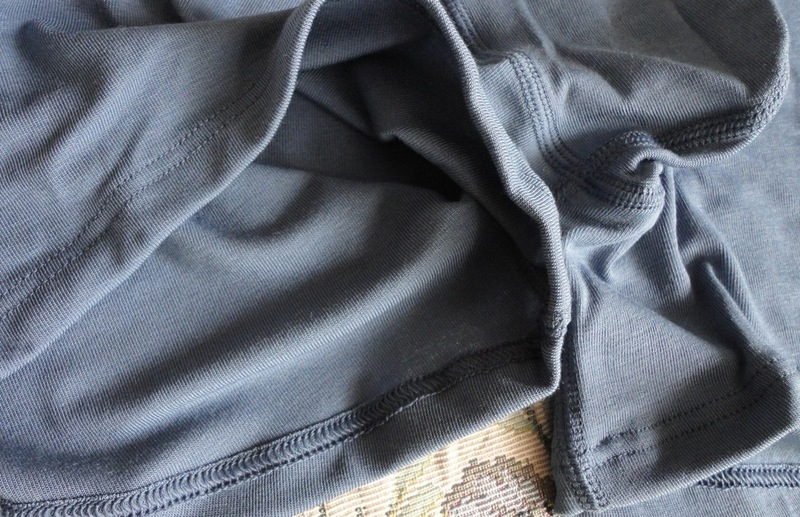 The small percentage of Elastane (also known as Spandex or Lycra) in the blend adds elasticity while all the good qualities of cotton remain, all that's missing is the itchy, scratchy feel that some inferior cotton T-shirts develop after a few washes. Actually these vests should be washed like synthetics: cool temperature, with similar colours, no bleach, tumble dry low (if you must), very low iron. I find that they dry quickly on a hanger in the fresh air and need no ironing. We got these in white, and the first time I put them out to dry, a “swine bird” dropped a couple of presents on one and, since it was bramble season, I thought I would never get the stains out but, after a long soak in mild liquid detergent, the marks disappeared (just as well!). These are marketed as underwear but my hubby also wears them as T-shirts in the summer, the darker colours are especially suitable for this. He also wears them at night, instead of pyjama tops and has now become rather picky about his other T-shirts; suddenly, they are not soft enough. The size chart is, for once, very accurate and the only choice is whether you prefer a snug fit or a loose one. 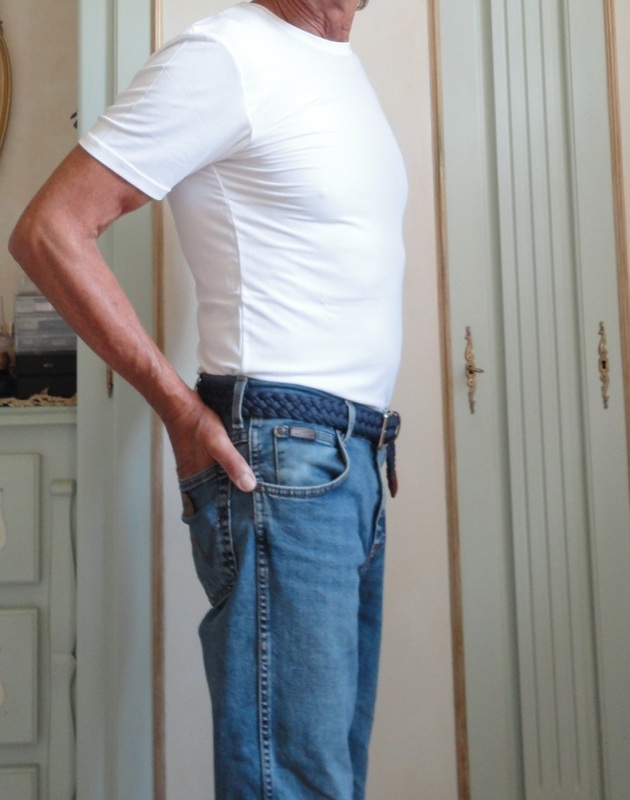 In my photos my hubby (chest 42 inches) is wearing a size X-Large. The fit is spot-on but not skin-tight. I didn't notice any shrinking after washing, so the fit should remain consistent. 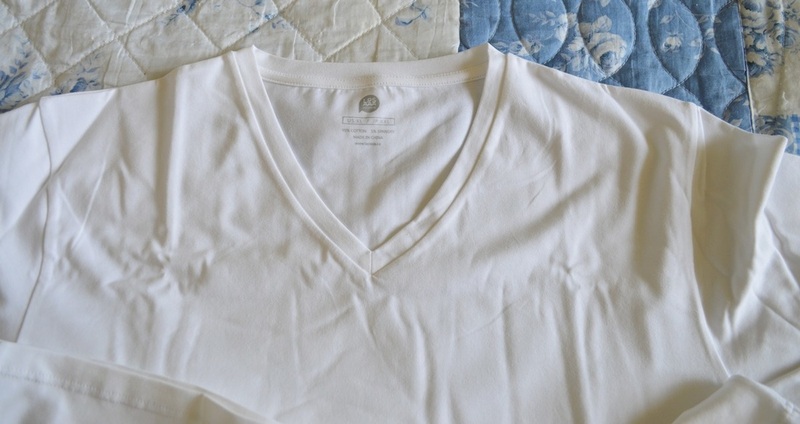 Although my husband prefers a crew neck, he doesn't mind at all the V-neck shape, it's correctly positioned and non-intrusive. 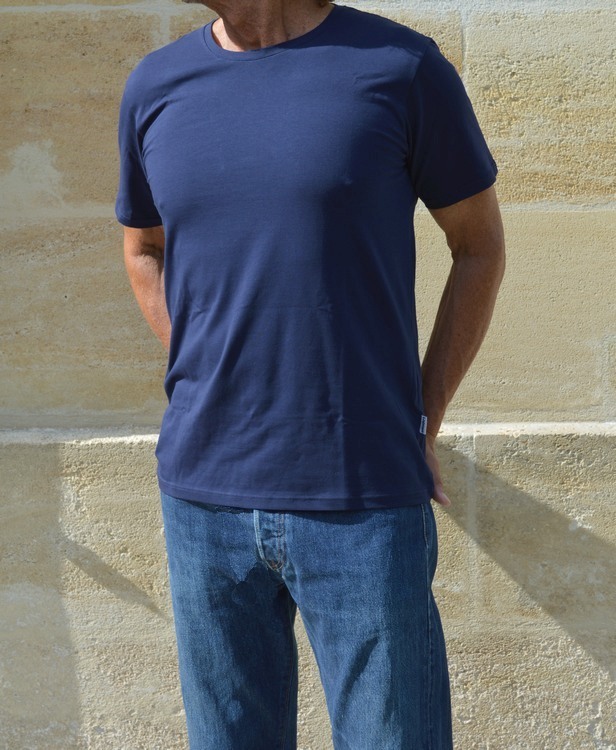 The sleeves are well cut and the shape is well balanced, roomy at the shoulders and moderately tapered over the torso. 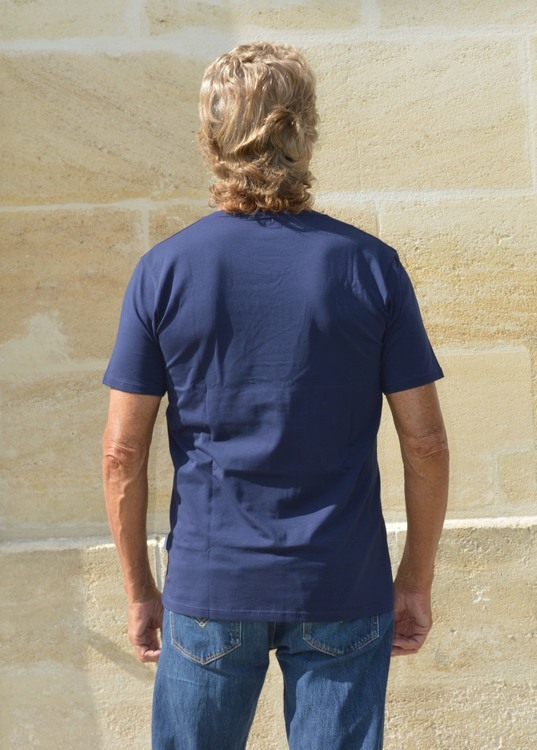 Impeccable manufacture, these are well-made garments with no loose threads or visible imperfections. The reinforced neckline and stitching are flat and soft on the skin, and the label has been sewn on the outside, saving me the bother of cutting it off. 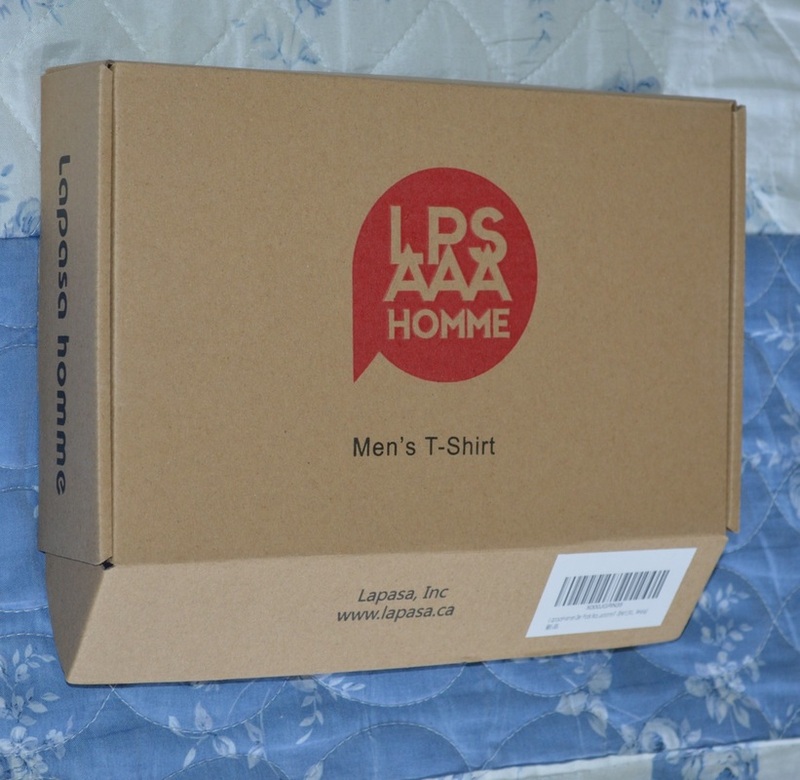 Packaging is of similar quality: both vests folded together in each package, with clear care and washing labels, and the branded box protected inside a sturdier cardboard box for shipping. 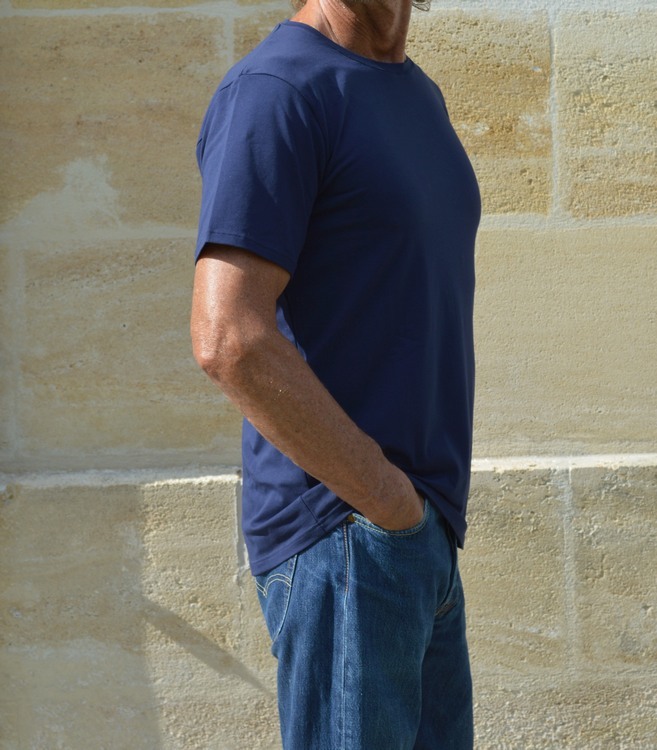 Easily the best cotton T-shirts / vests we've come across so far, and having two in one pack makes them very good value. Crew neck is my hubby's favourite style, so he really loves these. In darker shades these look just like thin T-shirts and are suitable as outerwear, if desired. 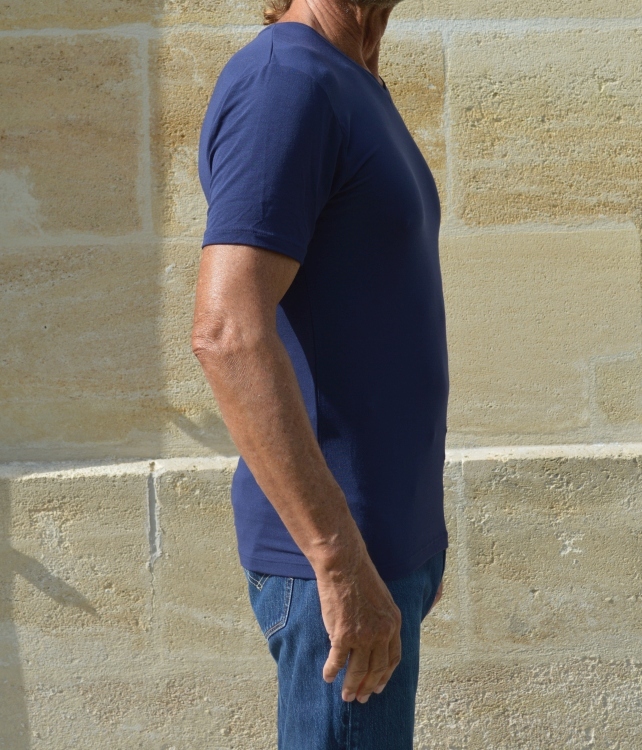 Just like the other model, the round neck is reinforced. 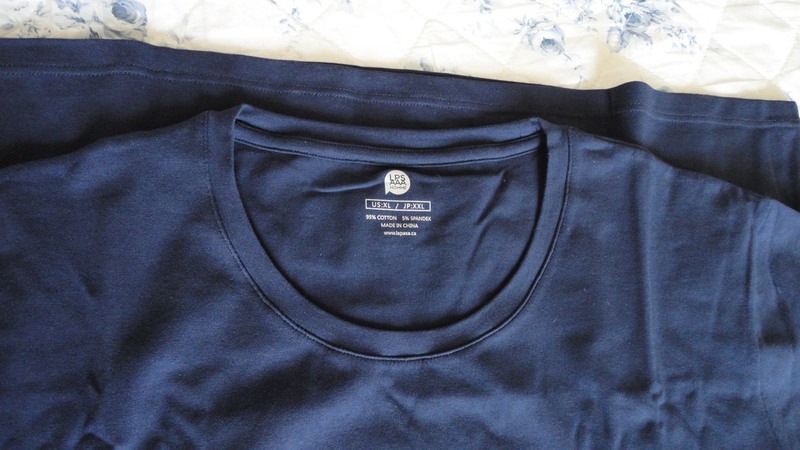 The dark blue is colour-fast (although I always wash separately the first time). Softest cotton vests ever! 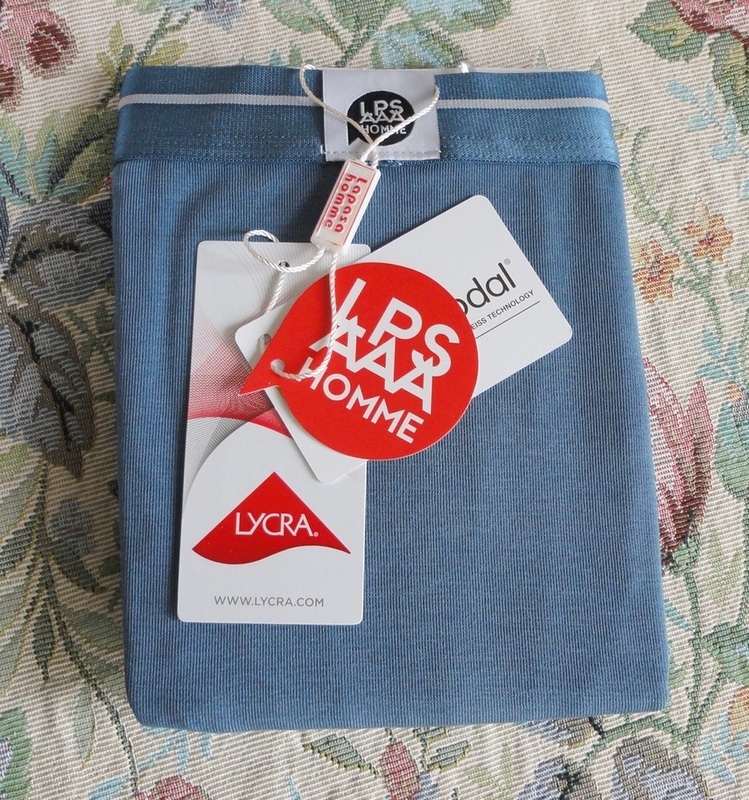 Incredibly soft and silky, this fabric mix (Modal 88% with 12% Lycra) has excellent two-way stretch and does not shrink in the wash. This Austrian-engineered fibre called MicroModal was a very pleasant surprise. It is apparently made from beech trees in an eco-friendly process which is CO2 neutral. My husband normally favours natural fibres like cotton for his underwear. 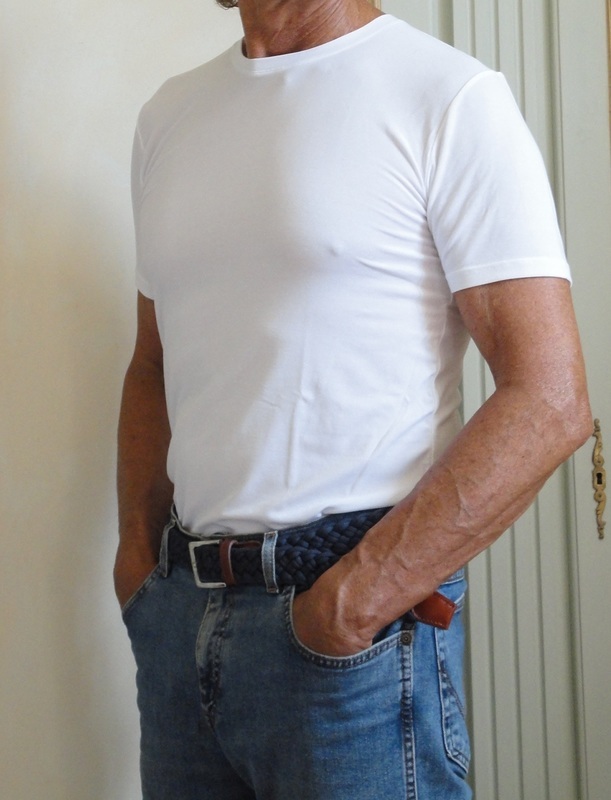 However, he finds these T-shirts (there are two in the package) extremely comfortable and very soft on the skin, and more breathable than cotton. 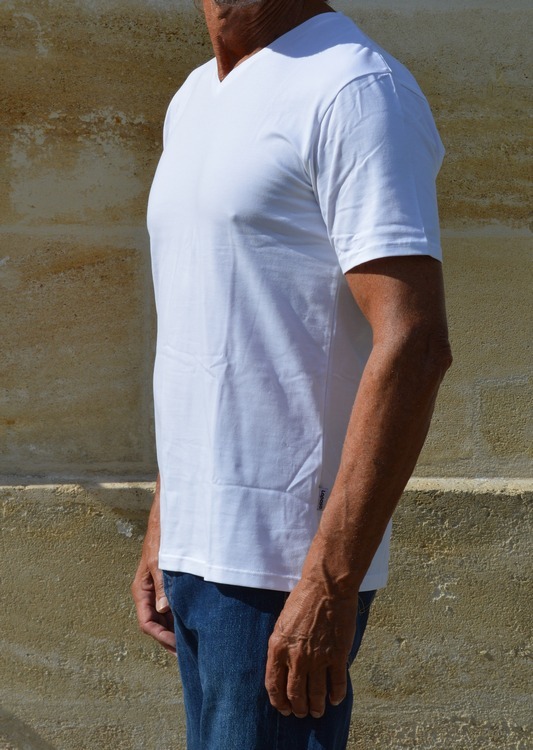 Because the fabric allows quick evaporation and does not trap heat, these T-shirts are also ideal for exercising and for any activity which might result in sweating. Getting the size right can sometimes be tricky and here is a good example of that; the current size chart was not available when we ordered so we had to guess. 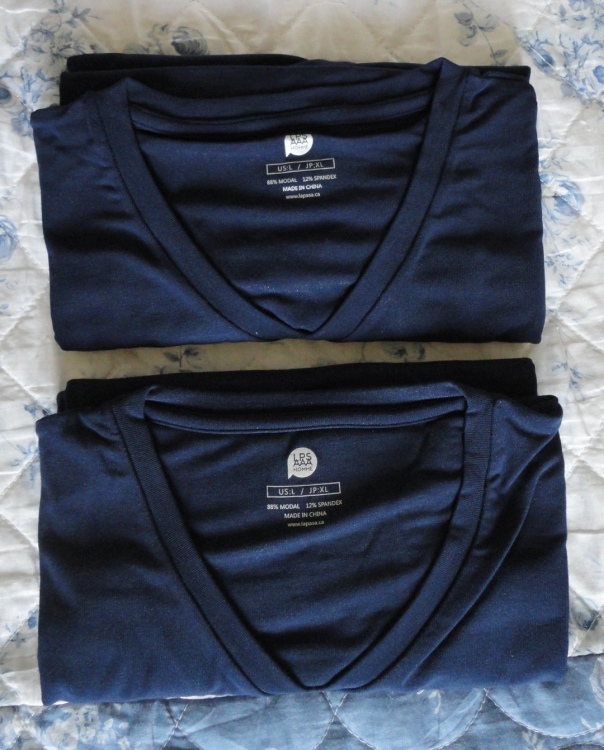 Based on my husband's chest measurement of 42 inches (107 cm), I ordered a size Large which gives him a perfect, snug fit (you can check this out in my photos). Based on the new guidance, we should have asked for an XL but my husband is very happy with his T-shirts because the fabric is very elastic and fits closely. So I hope our experience can help you decide. 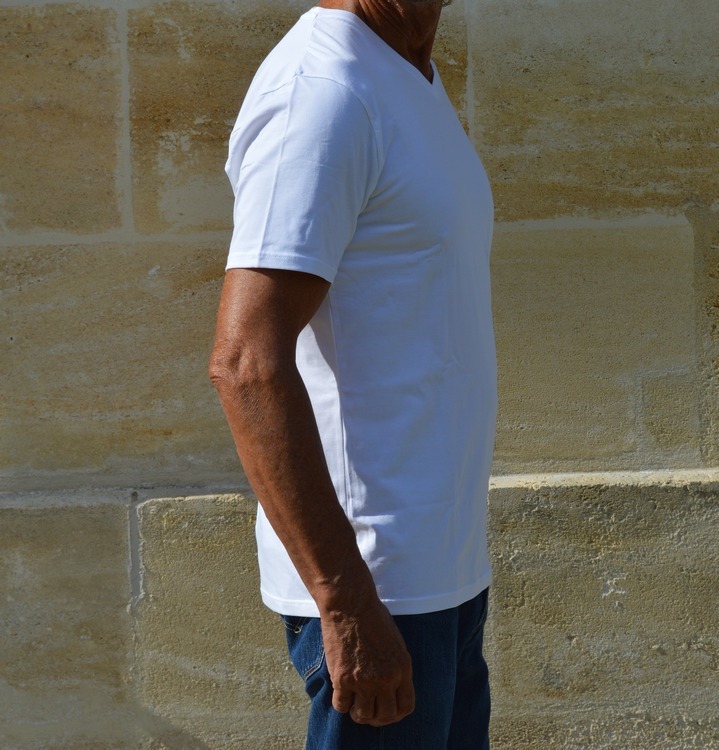 Manufacture is impeccable, no loose threads or visible imperfections with some functional details which add a bit of quality: the neck is reinforced for durability and they have even sewn the label on the outside of the garment, saving me the bother of cutting it off. 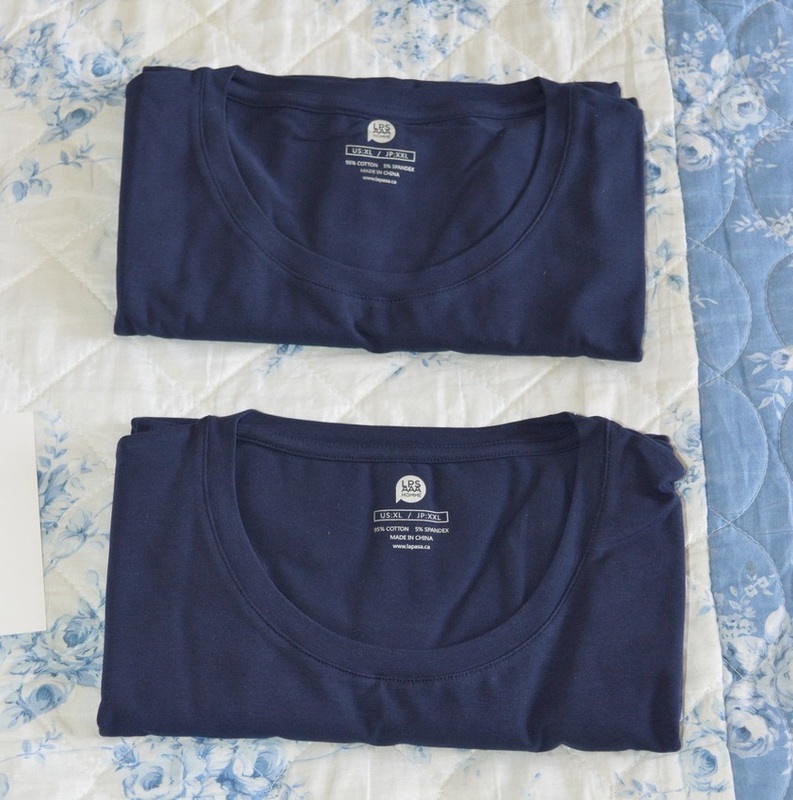 Packaging and presentation are also good: each T-shirt is individually boxed with fabric info labels and clear washing instructions. 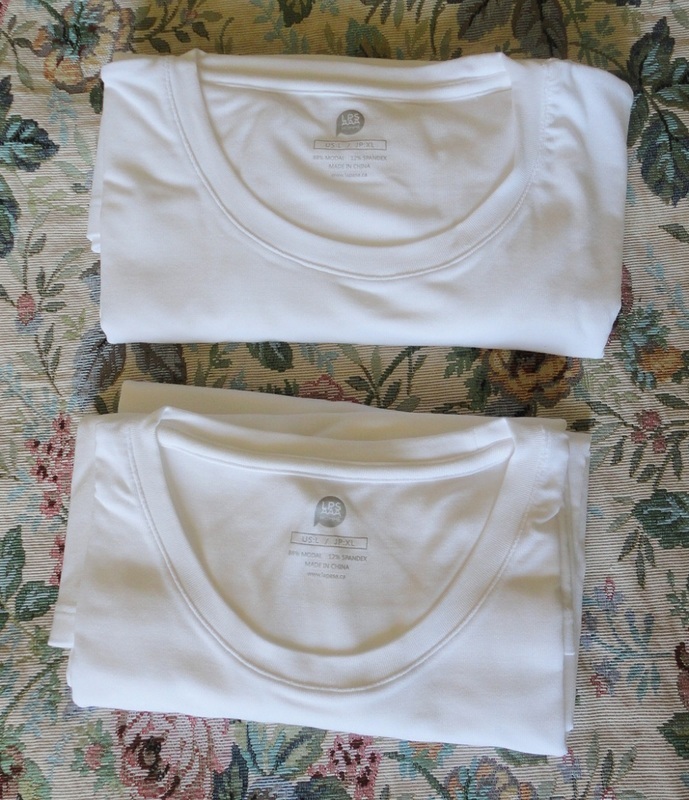 So far the shirts have come out of the wash in great shape and they seem to stay very white. An excellent everyday choice and the pack of two makes them very good value. 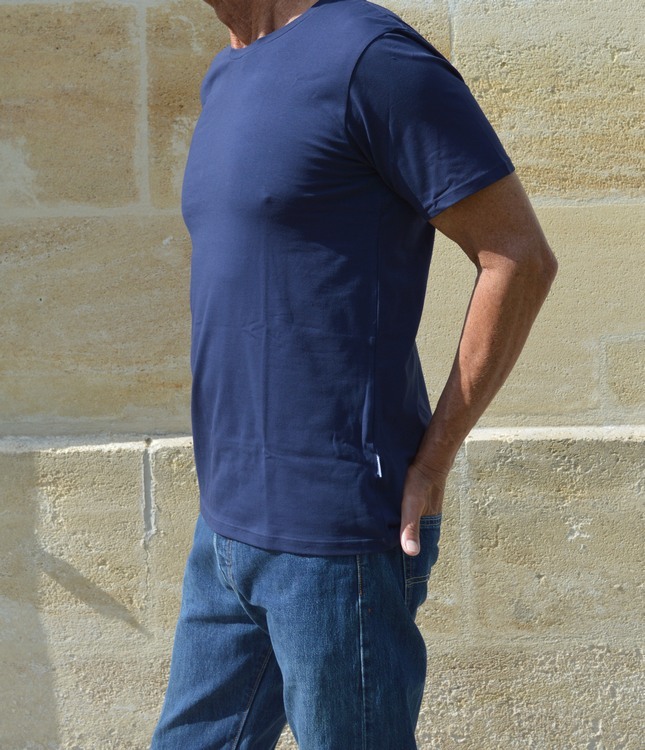 The V-neck version of the MicroModal vests is just as wonderful and we opted for a dark blue which makes them suitable as outerwear, as well as underwear. 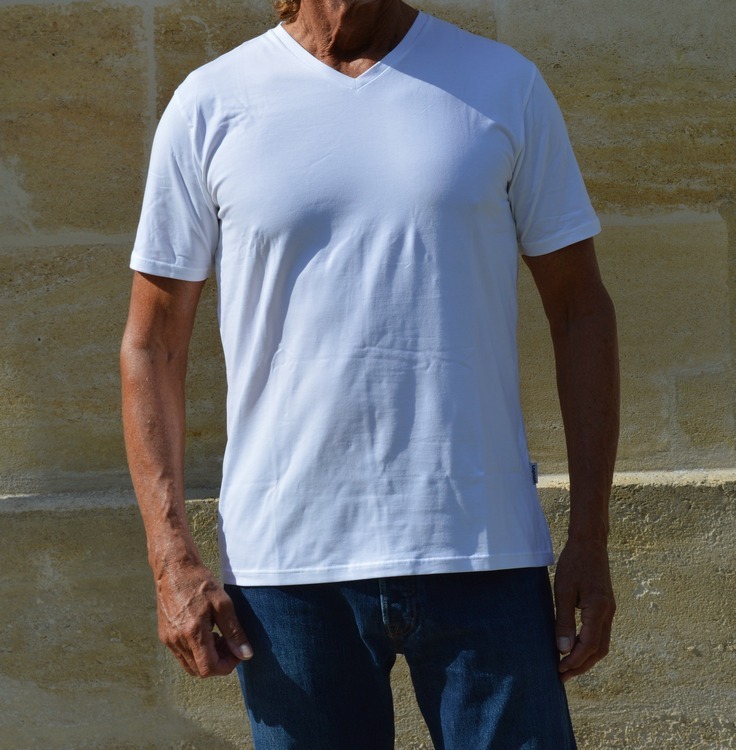 The V-neck is well positioned, not too high and reinforced for durability. 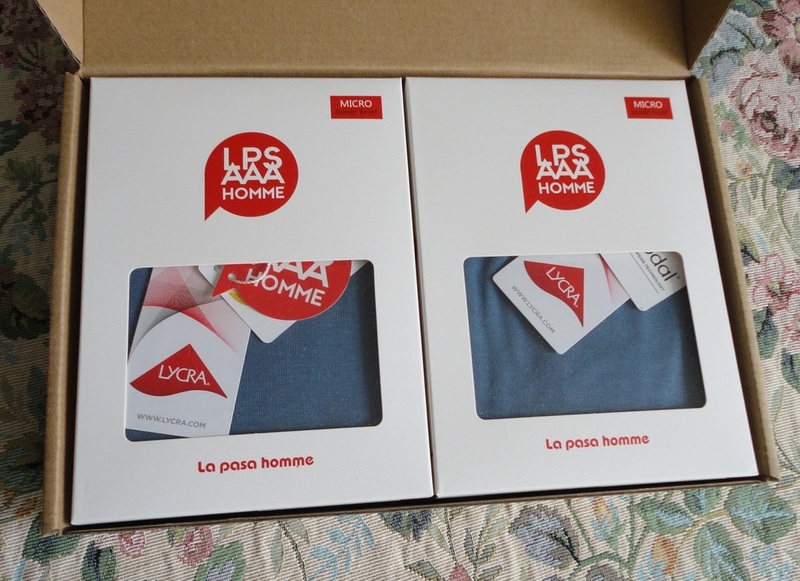 The packaging is a little different, with the two vests folded in a single box. The dark blue is colour-fast (although I always hand-wash the first time). These are the softest vests I have come across and my husband now prefers them to his pyjama tops. 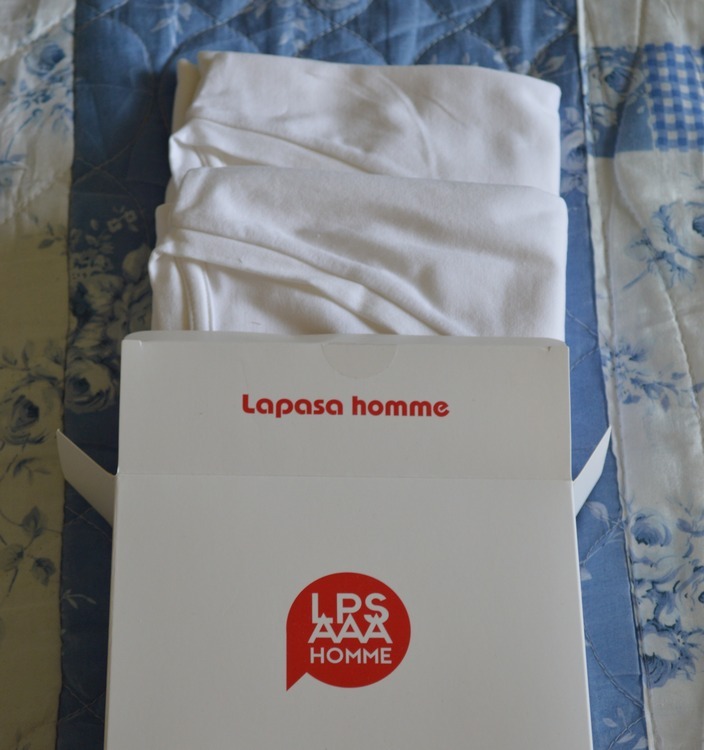 I was sent a sample box of these briefs for my husband to try out. He dislikes binding, restrictive underwear, but still looks for a proper fit and classy appearance. His favourite cut is brief or short-boxer, so this style really suits his tastes as it does not extend much down over the thigh. 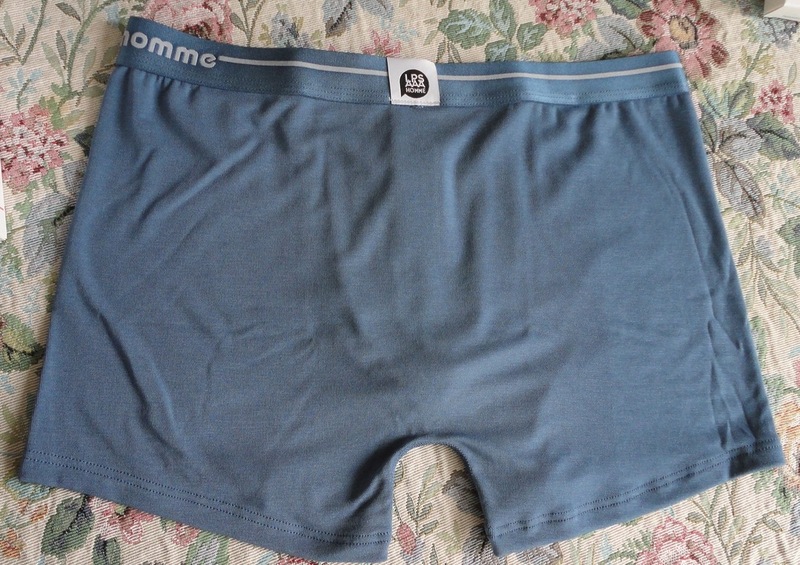 We selected the Navy Blue colour; it is exactly as shown in the photos, a soft grey/blue. These sets are sold in solid colours, like this one, or in a mixed lot of four different shades. They are made of a very silky and breathable synthetic fabric with great two-way stretch (Modal 88% with 12% Lycra). 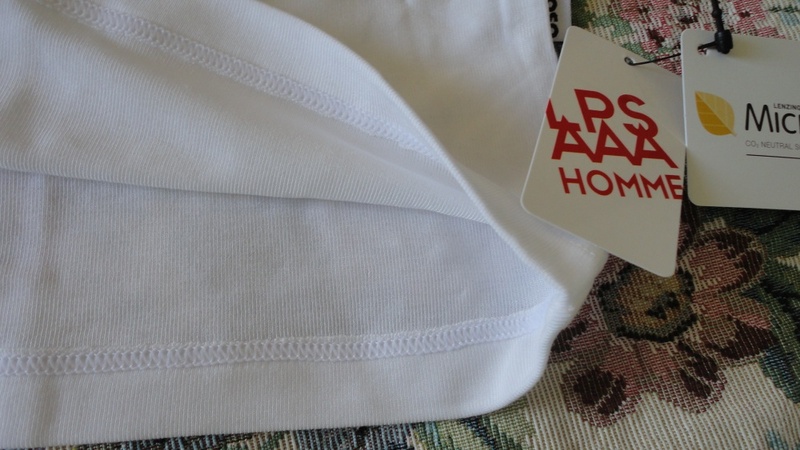 The waistband has the correct amount of elasticity and is very kind to bare skin. The special feature is the pouch at the front, engineered for comfort while giving a very subtle bit of support. Size-wise, we found the size chart to be reliable. We asked for a Medium, for his 32 inch waist (82 cm) and they fit him perfectly. 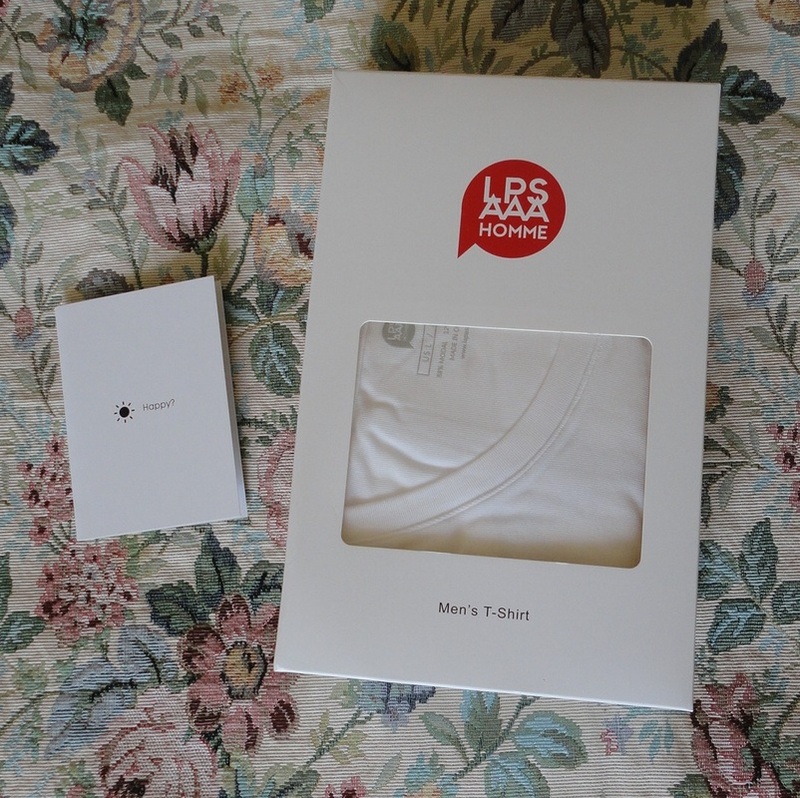 Also, good quality presentation: each boxer is individually packaged in its own box with fabric info labels and clear washing instructions. 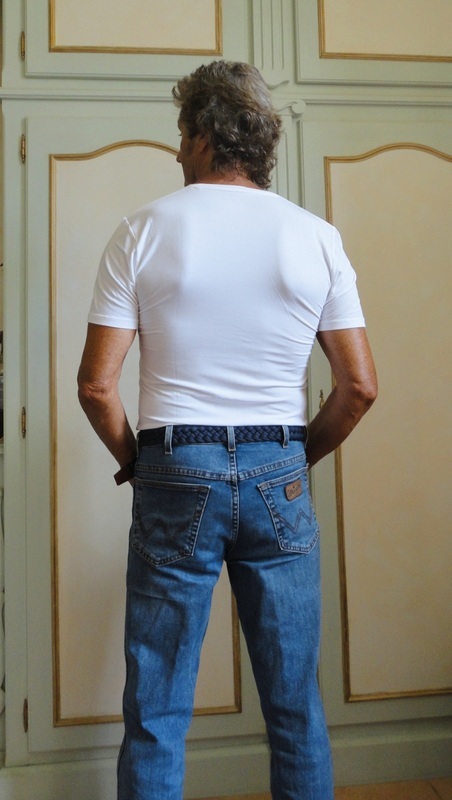 After a suitable testing period, my husband's view is that the Modal fabric makes them extremely comfortable, with no riding up and excellent heat dissipation. He prefers them to his softest DIM and other major brands. The manufacture is also very good, tight stitching, no loose threads or visible imperfections. They wash well; no shrinkage, colour bleeding or unravelling threads. An excellent everyday choice and the pack of four is very good value.